When pyroxenites get mixed into the mantle, their presence decreases the extent of melting, reducing the creation of new oceanic crust and potentially the amount of deep carbon released to the surface. Pyroxenites are a type of rock created when parts of Earth’s crust are injected deep in the mantle and experience repeated cycles of intense heat and pressure. Once these rocks sink into the mantle at oceanic trenches through subduction, they are continuously stretched by mantle convection, the planet’s churning internal system for moving solid material back and forth between the deep mantle and the surface. This recycling process mixes pyroxenite with peridotite, the most abundant mantle rock type, creating a marbled pattern, much like fudge sauce swirled into ice cream. In a new paper in Nature Geoscience , DCO Deep Energy Community member Daniele Brunelli (University of Modena and Reggio Emilia, Italy), with colleagues at the University of Modena and Reggio Emilia and Lamont-Doherty Earth Observatory, USA, reports that the presence of pyroxenites has an outsized effect on melting within the mantle. These potentially carbon-rich rocks melt at lower temperatures than the surrounding peridotite, and contrary to expectations, create a cooling effect. When pyroxenites are present, they reduce the total amount of melted rock that forms in the mantle beneath mid-ocean ridges, where diverging tectonic plates allow mantle to well up and partially melt, creating new seafloor. Because pyroxenites cause a reduction in the extent of melting, these regions have thinner crust and potentially release less mantle carbon. “The presence of pyroxenites is one of the major controls that governs the thermal state of the region beneath mid-ocean ridges,” said Brunelli. 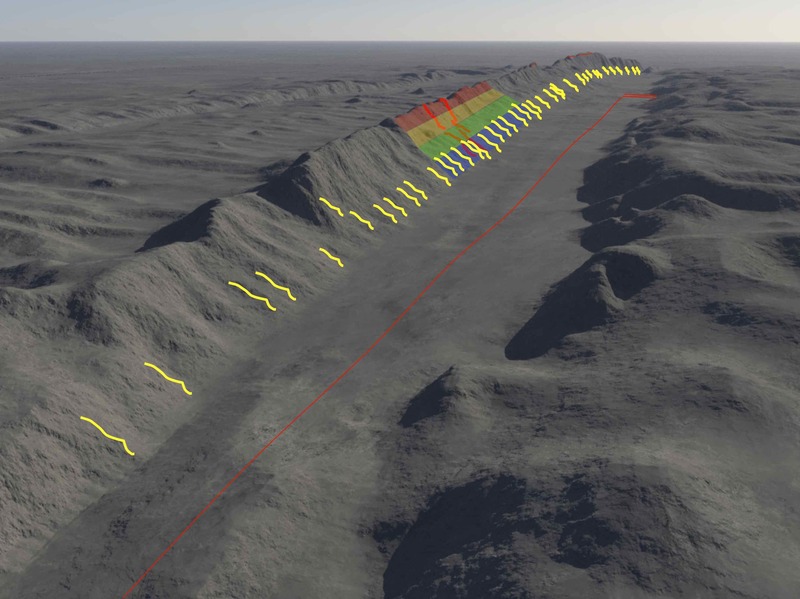 “This effect is the reverse of what was expected.” Earlier experiments had suggested that pyroxenites increase the amount of melt produced at mid-ocean ridges, which would increase the thickness of new crust. Pyroxenites carry a lot of volatile compounds that contribute to their low melting temperature, and so pyroxenites melt first when they rise slowly into the melting region beneath a mid-ocean ridge. The current study showed that when pyroxenites melt, they extract heat from the region and reduce melting in the surrounding mantle. The researchers conclude that the amount of pyroxenite in the mantle is a more important factor than spreading rate in determining crustal thickness in this part of the Mid-Atlantic Ridge. Brunelli and his colleagues analyzed rocks from the Vema fracture zone, an uplifted section of oceanic crust between Africa and South America. It runs for 300 kilometers perpendicular to the Mid-Atlantic Ridge. “Vema is a wonderful place. It exposes a complete section of the oceanic crust that contains rocks ranging in age from 0 to 30 million years,” said Brunelli. In past expeditions, researchers have used the French submarine Nautile to take samples from along the fracture zone, including samples of the mantle source rocks and the daughter crustal basalts. The researchers measured the isotopic composition of rocks ranging in age from zero to 26 million years from the Vema fracture zone. 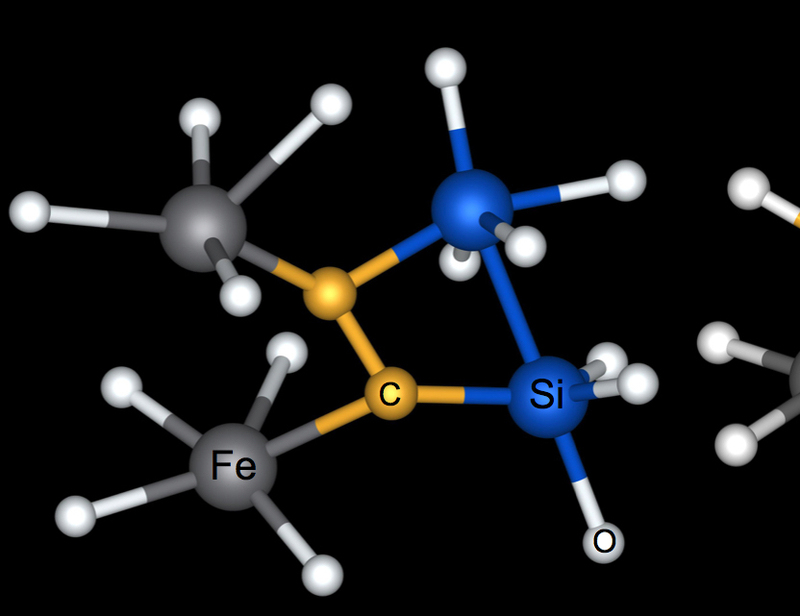 Different isotopes of an element have different numbers of neutrons in the atomic nucleus. 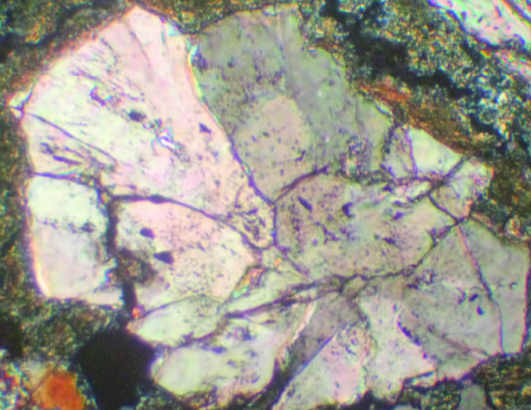 Their analysis showed that when pyroxenites enter the melting region beneath the mid-ocean ridge, they cause changes in the isotopic composition of both parent peridotite rocks and the crustal basalts they generated. Those changes directly depend on the extent of melting the mantle rocks have undergone. 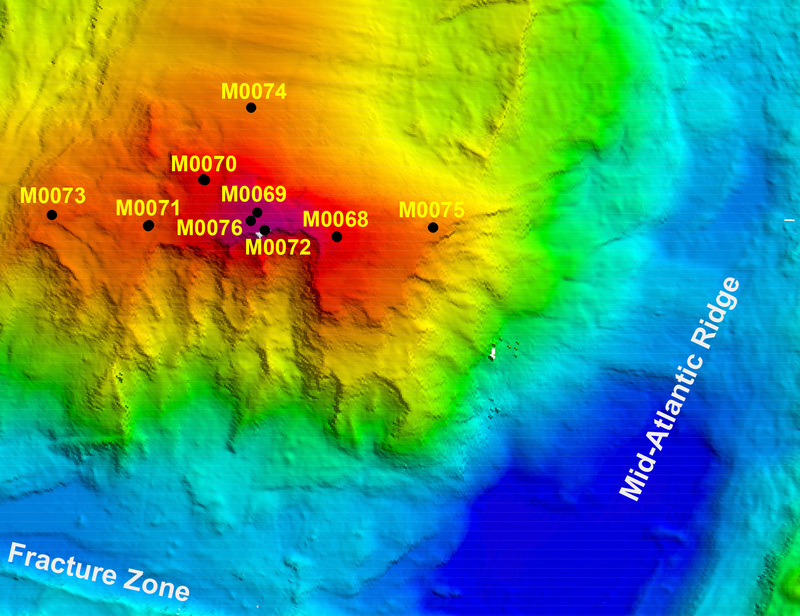 Based on data in the literature, they extend their findings to other parts of the mid-ocean ridge system. “This study shows there’s a global correlation,” said Brunelli. To predict how a mix of pyroxenites and peridotite would melt when heated, the researchers constructed thermodynamic models. The models agreed that melting pyroxenites could create an unexpected cooling effect. In future work, the researchers plan to investigate further the isotopic composition of these samples, to determine the age of the pyroxenites, where they originated, and their initial composition. These details are hard to discern because pyroxenites may have taken several trips from surface to mantle and back, which could take 500 million to more than 4 billion years. Brunelli also is interested in the roles water and carbon in the pyroxenites play in controlling melting. As one of the main carriers of deep carbon through the mantle, the melting dynamics of pyroxenites likely impact how rapidly deep carbon moves to the surface.